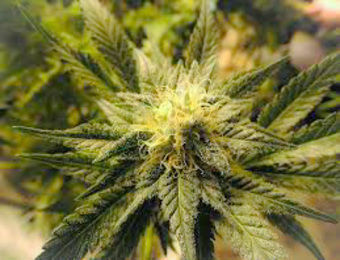 For the longest time, the use and sale of marijuana have been a major taboo in most societies. Nobody wants to be associated with someone using it or users try their best to avoid public detection and thus save themselves from public scrutiny and persecution. But over the past few years, marijuana is becoming more accepted in most states in the country and farming, sale, and use of it is even considered legal now. Hence, it no longer comes as a surprise if courses are being offered related to the marijuana business considering how popular it is now and society at large seems to be more accepting of it as well especially in the use of medical marijuana. Recreational marijuana is growing in popularity too, which is why those who are interested to learn more about this humble weed can now do so in certain colleges and universities in the country. Even prestigious and ivy-league schools have caught up with the craze because it is likely to stay for long and not just a passing trend that comes and goes with time. In all honesty, the weed business is a multi-billion dollar industry that is expected to grow even bigger in the coming years as legislation are passed legalizing its sale and use. Not only is the profit from the weed business growing but there is also severe sales growth of paraphernalia related to its use, like water pipes and bongs. It’s like shopping for your next hobby now as there are more options to choose from since more and more shops are carrying them in their store inventory. As the sweet stench of legal cannabis continues to seep into the mainstream, institutions of higher education have started constructing robust courses around the plant. Aside from fully canna-centric establishments like Oaksterdam University, a number of prestigious colleges and universities, from Harvard University to Ohio State, also offer full-fledged classes on cannabis policy and law. But few have gone as far as Northern Michigan University, a Marquette-based school that has recently unveiled a four-year medicinal plant chemistry degree focused exclusively on marijuana. The program will cover all the bases of the cannabis industry, including chemistry, biology, botany, horticulture, marketing, and finance. Students will be given a comprehensive crash course on medical pot, learning how to measure and extract the compounds that help treat chronic pain, nausea, seizures, glaucoma, and other illnesses. The idea may be novel and quite ludicrous to some but it has its finer points. The marijuana business is burgeoning now that many states can legally sell it. Moreover, both recreational marijuana and medical marijuana have a lot of supporters and is only expected to grow now that the public can easily access it. These future marijuana businesses will come in handy to meet the growing demands for this unassuming weed. Other colleges and universities — such as Harvard, University of Denver, Vanderbilt University and Ohio State University — offer a variety of classes on marijuana policy and law. But the Northern Michigan University program is unique, mixing chemistry, biology, botany, horticulture, marketing and finance in a four-year program that began this semester. The first class has a dozen students, but Mark Paulsen, director of the university’s chemistry department, expects that number to grow quickly. While many of you will probably raise an eyebrow or two about the very idea of putting up a weed business and think how ridiculous it is, it’s actually far from easy. Will you ever think that you’d end up studying complex science subjects like biology, biochemistry, organic chemistry, biostatics, genetics, and liquid and gas chromatography along with business courses such as financial and management accounting for starters? Perhaps, the answer is no. But this is just the sample of what student life is like for a cannabis business major. It’s a challenging course but definitely worth taking if you’ve got your eyes into growing as big as this new industry that got everybody talking and spending.